Lightweight- weighs only 33 lbs. 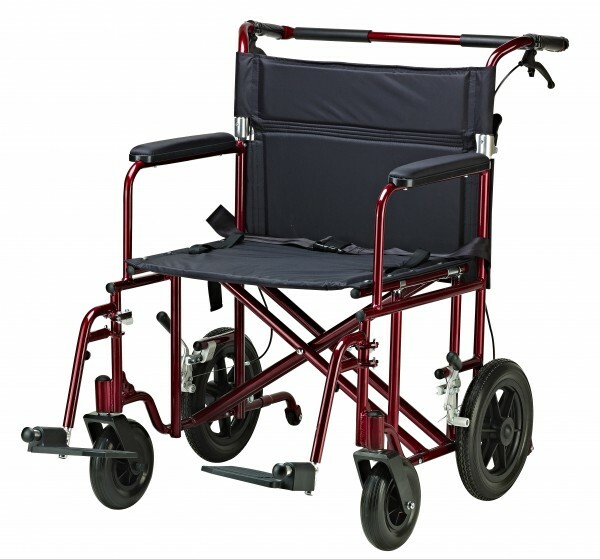 Supports individuals up to 450 lbs. 12' rear flat-free wheels. Comes with swing-away footrests. Adjustable leg support. Fixed, full length arms. Padded armrests provide additional comfort.